On Saturday, April 30, Eagle Scout Samuel Van Amberg led four participants in water testing at Paint Creek as part of his service project with the Middle Nolichucky Watershed Alliance, supported by a Tennessee Valley Authority Community Outreach Support grant. Participants learned how to sample for macro-invertebrates and use what they found to determine the health of the creek. Participants also learned how to perform basic water quality tests including dissolved oxygen, pH, and carbon dioxide. Levels in Paint Creek were ideal for fish and wildlife, and results will be sent to the U.S. Forest Service. 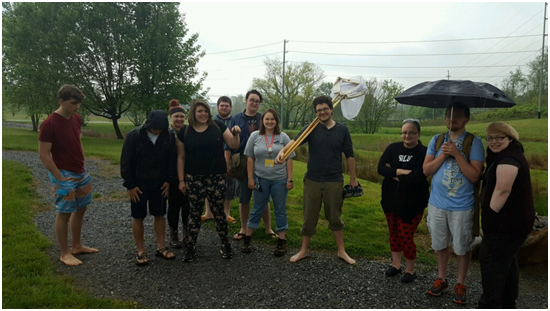 Previously, Sam led two stream monitoring days at College Creek on the Tusculum College campus, pictured below. He has worked primarily with high school and college-aged students.